Perhaps one of the few festivals in the Philippines that honor their major crop in the island is the famous Lanzones Festival of Camiguin. What use to be the claim of Laguna’s Paete is now the main turf of the island of Camiguin. During the month of October, the whole island is flush with this yellow colored fruit, when it is in abundance and its taste is on its highest sweetness. 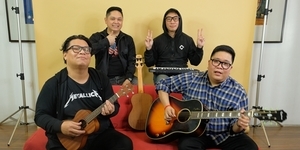 Perhaps, it is due to the islands claim of being the world’s only island with seven active volcanoes to its claim including the most feared Mount Hibok-Hibok and Camiguin Volcano. And it is because of this that the soil is rich in minerals and is ideal for these kinds of fruit trees to bear such sweet tasting fruits. 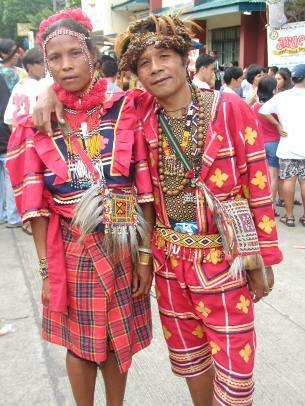 Aside from the sumptuous parade of fruits, the two-day grand festival features the best of the island’s cottage industry and several indigenous sporting events. Next to the popular fruit festival is the annual Holy Thursday and Good Friday Festival. 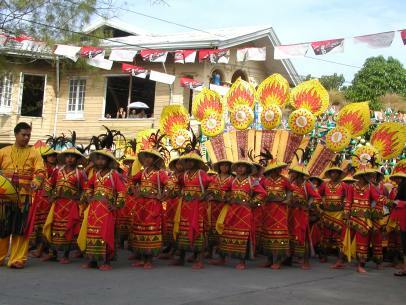 It is call “Panaad in Camiguin.” The most significant of these festivities is the yearly procession along the island’s 64-kilometer circumferential road. The holy week devotion culminates in Bonbon passing though what the natives call “the hundred steps of the history of Jesus Christ’s crucifixion.” The fourteenth station of the cross offers you glorious scenery of the bay lined by coconut trees. 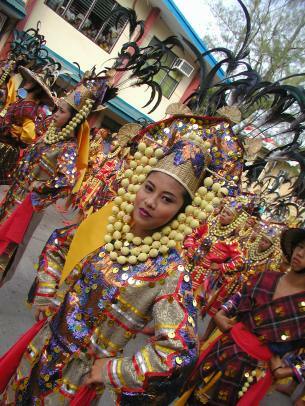 If you miss the Holy Week, you can still catch up with the Bonbon Fiesta held every second week of May. 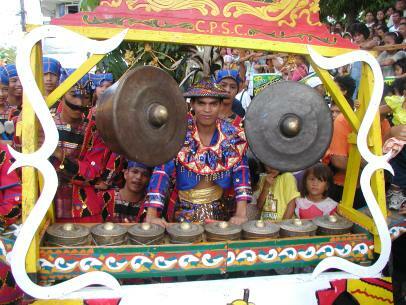 The festivity features a fluvial parade, boat race and Santacruzan. Although measuring no more tha 230 hectares, Camiguin – a pear shape island 90 kilometers southeast of the bustling Cagayan de Oro industrial center in Mindanao – offers the most nature lovers can hope fore. It’s seven volcanoes, often hidden in misty clouds enveloping most of the island – offers a challenge to the strong and adventurous. One can also relax in the natural spa and splendid waterfalls that abound in the island. Camiguin is probably one of the least explored island in the archipelago as one can stroll cozily and undisturbed in the quiet of its verdant natural beauty. If you are to stay for several days, it is best to reserve one morning for a trip to White Island and frolic under the sun in this white sand bar, two kilometers off Agoho or Yumbing, in the northern tip of the island. Myth has it that all the Camiguin beaches used to boast of this white powdery sand until the eruption of Camiguin Volcano. Besides sunbathing, it’s best to snorkel around White Island where multi-colored starfish can be found. Besides the uninhabited White Island, a trip to Mantigue, three kilometers off Mahinog town in the eastern portion of Camiguin, should not be missed. The island boasts, not only of white sand beaches but some four-hectares of forested land. 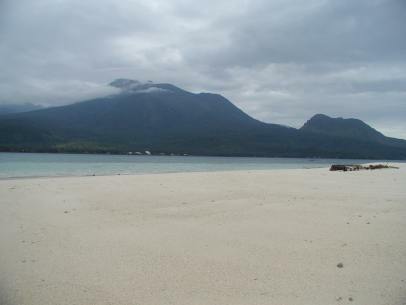 Other beaches within Camiguin island include the Cabaua-an beach, which is nearest the island’s capital town of Mambajao. 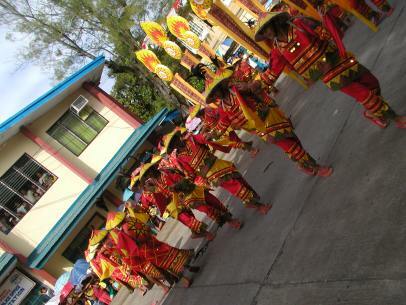 Cabua-an is the venue for the Hibok-Hibokan festival held every year on June 24. The festival features water sports in honor of St. John the Baptist. Another interesting beach is Agohay beach, which is seven kilometers from Agoho. This is the camping area for Hibok-Hibok mountaineers. These days, volcanologists monitor the island’s molten soul and tell us in advance when an eruption will occur. The “Camiguin dragons” are presently sleeping quietly. It is hoped that they will stay that way. To get to Camiguin, you can either go by plane or by ferry. The best way though, is to come by ferry, from the Cagayan de Oro. The three-hour trip enables a closer look at the scenery – busy docks and fishing boats that ply the Bohol Sea – and lets you meet Camiguin enthusiasts. These island regulars are drawn back each year by what they describe as the place’s “mystic beauty,” and by its people too, whose friendly nature is legendary even among their fellow Filipinos. Your landing at Benoni wharf confirms most of what you’ve heard on the ferry. To travel around the island, you can hire a motorbike or a jeepney with a driver. The trip around the island can be done during the day, with plenty of time for stops along your destination. And stop you have to do, if only to exchange a few pleasantries with everyone who hails “hi friends!” as you pass by. Camiguin has wondrous beauty. Some might say even mystic beauty. It is this, plus those clouds that ever shroud the island’s high volcanic peaks. That at last leaves one mindless to the havoc that these same volcanic peaks could wreak. This must be for the Camiguinos too, for their happiness seems to be sublime. Their friendliness is totally sincere and their hospitality as genuine as you would ever hope to find. Little wonders that the ranks of the Camiguin enthusiasts are swelling all the time. Philippine Airlines and Cebu Pacific offer daily flights to Cagayan De Oro. Then take a three-hour bus ride, or car rental to the north of Cagayan de Oro, about 80 kilometers to the port town of Balingoan. 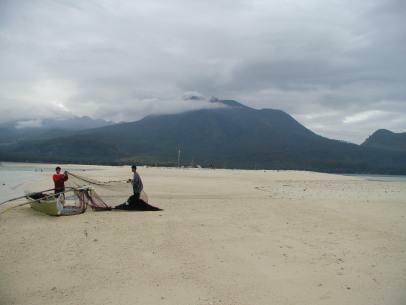 There is a ferry that runs an hourly trip from Balingoan to Benoni, the Port town of Camiguin. Casa Grande in the center of town has four rooms in a high and airy old house with lots of polished wood floors. Call 387-2075.